Hey! Welcome to our Online Hub. We move people to their greater zones. 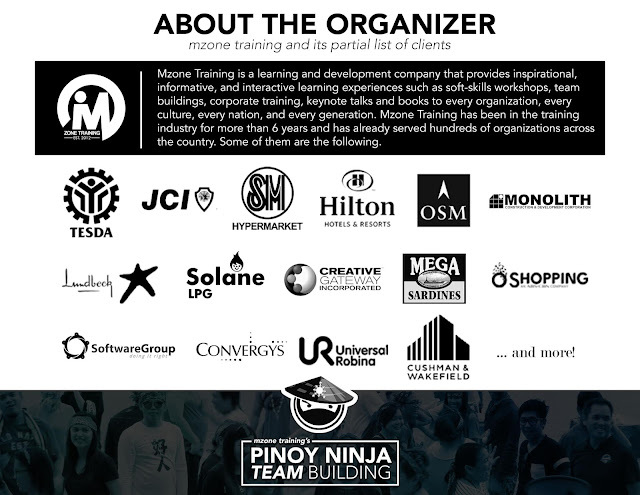 MZONE TRAINING was established in 2012 by its Founding President Marlon Molmisa. It started with a vision to help more individuals from various sectors and age groups to increase their potentials by developing their leadership skills. Its Founder highly believes in the power of strong leadership in building strong organizations which eventually can contribute to the strength of every nation. For the past five years, Mzone focused on the development of schools and universities by training students and school leaders. Now, it is expanding its networks and serving more corporate clients. Our story continues. We are excited to reach more locations all over the globe. We are discovering, developing, and deploying speakers, trainers and consultants who provide informative, inspirational, and interactive learning experience in every organization, in every generation, in every culture and in every nation. To be one of the most credible and leading training company and talent management of speakers and trainers in the globe. Our company is fueled by our core values. These are the pillars of our success. These are the non-negotiables that we apply in every transaction that we have. These the the 5 core values of Mzone Training. Our primary goal is to discover and develop speakers and trainers. As of now, we have 6 homegrown speakers and 19 accredited trainers for our two main programs. 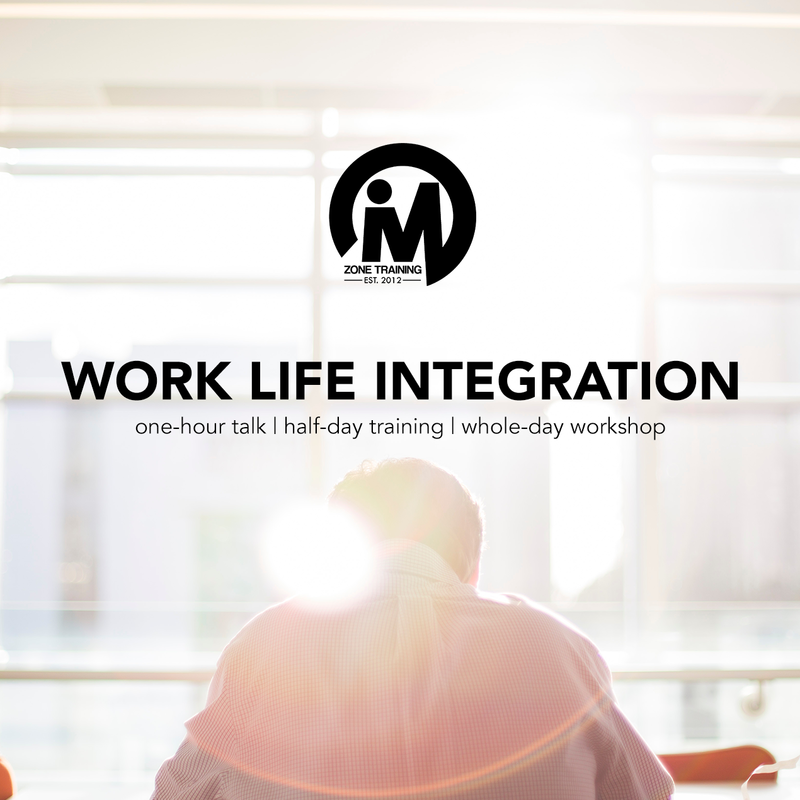 Mzone Training specializes in soft-skill workshops, public events and HR related training that can develop people and the organization. At Mzone, there are three categories for our team building facilitation: (1) Team Building - for new organizations. (2) Team Alignment - for struggling organizations. (3) Team Bonding - for healthy organizations. We publish ideas. Our business is continuing education which comes in any form. This includes books. We sell books that are useful for the development of people. We meet our clients over a coffee or in a board room. It is in the form a one-on-one coaching to make the best plan for their career, business and/or organization. We create results and not just have meetings. We can boost your business through digital marketing. We can handle your social media accounts, create powerful posts, and generate outputs from any online initiatives. PARTIAL LIST OF HAPPY CLIENTS! Can you imagine a group of fish that can swim with the sharks without being eaten alive? What kind of guts do they have to co- exist with the monsters of the sea? What will happen if afterwards these miniature creatures suddenly reversed the trend and became the masters of the sea in both the red and the blue ocean? From a small corner drugstore, United Laboratories Inc has grown to be the country’s top pharmaceutical company with over 20% market share in an industry dominated by the world’s biggest pharmaceutical multinationals. The reasons that made this a reality remains to be a mystery to its competitors. This is a secret that can only be revealed when you’re within the zone, working with heroes that made the impossible possible. I was fortunate enough to be a part of this company in March of 1999. It allowed me to discover the 3 secrets that transformed this company from good to great. Do you want to know the secrets? Here are our 3 ingredients: First is the Vision of our Founder Jose Y. Campos, second is the Bayanihan Way of life in UNILAB, and third, our people. Allow me to connect these 3 points in a very simplified way based on the stories that I’ve heard from the veterans of this company. I somehow visualized a young Jose Y. Campos peddling supplies and medicines on his ever reliable bicycle in the streets of Manila. He had a vision of establishing up a store that would make more drugs available at more reasonable prices. And so in his mind he formed a new management philosophy that is truly Filipino in nature, one based on bayanihan or working together. Our Filipino values of pakikisama, hiya and utang na loob enriched the management style he created. Thus, the Bayanihan way of life in UNILAB was born. It is a system of working together as one to achieve a common goal. It is where the President down to the last man standing will never ever stop until the goal is achieved. And this way of life has been passed on from generation to generation. 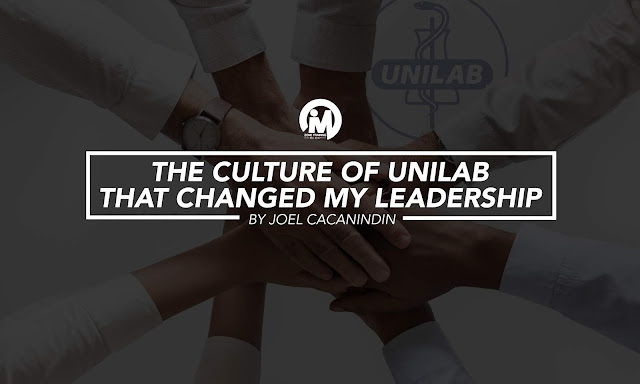 UNILAB’s success is not dependent on the intellectual and analysis paralysis line of thinking. Unilab, Unilab tinig nati’y nagkakaisa, kalusugay kayamanang tunay sa buong sambayanan inaalay. Unilab Unilab kapit bisig nating ipahayag. Ang bayanihan ating napatunayan siya’y landas tungo sa kaunlaran. What a moment, what a song, what an inspiration! This year marks my 20th year in UNILAB and I can still feel the culture instilled in my mind and heart. The spirit of Bayanihan is still burning within me and it will never ever stop. I am 45 years of age, but the enthusiasm is still like that of a newly hired individual. I made Bayanihan as a way of life. I shared this culture in our Metro Lipa Toastmasters Club when I was the President last year. This became our mantra that led to our first ever President’s Distinguished Club Award, the highest award given to a club by Toastmasters International. This was done after 14 long years of existence as a Toastmaster Club! Thanks to Bayanihan. In my family where we are facing adversities because of my wife’s end stage renal failure, the Bayanihan culture is within us because I cannot handle the situation alone. I, my wife and my kids are working hand in hand to be a group that will continue to live, love, and learn as one cohesive unit with the guidance of our Almighty God. Bayanihan is a leadership principle that can guide us to success. This can also be considered as a partner of our Underdog Leadership program where we work not because of position but of passion. We see ourselves as brothers and sisters with one common goal. It is where dedication, hard work, and integrity truly exist. It will truly bring an organization to change going from point A to Point B, from good to great, and from success to significance. JOEL CACANINDIN has been working with UNILAB Inc, the largest pharmaceutical in the Philippines, as a Business Development Executive. He has been in sales and distribution for more than 20 years. Joel is an accredited speaker and trainer of the Underdog Leadership Program and AMBK Program of Mzone Training. Currently, he is serving as an Area Director of Toastmasters in Batangas area. He received the President’s Distinguished Award from the Toastmasters International and an International Speech Championship Award in 2017. Joel earned his Nursing degree at Fatima University and passed the Licensure Exam as the 19th placer in the 1995 Nursing Board Examination. In 2018, he earned his Masters degree in Business Administration from Philippine Christian University. 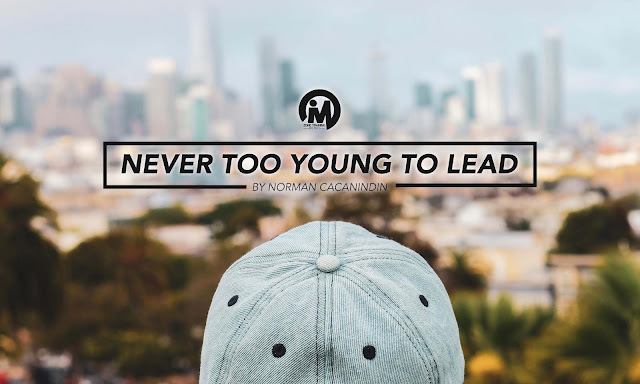 Do you remember the first leadership role that you have taken when you were young? I remember when I was elected as the class president way back when I was in first year high school. I don’t want you to get the wrong impression. But I only got the position because my friends had set me up. Our section, out of all the classes in 1st year, was the nosiest. This is because I never took the initiative to tell my classmates to be quiet. I just let them run wild. At first they loved it. But later on, some of my responsible classmates noticed it. Then, they came with an agreement to impeach me and elect a new president, someone who is more deserving. It is funny to say that the people who elected me to be in the position were also the ones who took away my power. I felt at that time that there was a mini coup d’etat in the classroom. On the bright side, they were able to gain a sense of unity by working for a common goal of overthrowing their irresponsible president. And guess what, they succeeded and later on gained their freedom and their independence on that day. I was reflecting on my experience, I learned that in an organization, most of the power comes from the members, and not from the leader. When they feel that you are not doing your job as a leader, they may work together and overthrow you, just like what happened to me when I was their president. In John Maxwell’s context, I was only at the 2nd Level of Leadership which is Permission. Majority of my classmates entrusted me to be their leader because I was friends with them since elementary. However, I failed to produce results for the organization. Hence, I got impeached in the process. In 2016, I joined Toastmasters International because I wanted to work on my communication skills. It is a non-profit educational organization that teaches public speaking and leadership through a worldwide network of clubs with over 352 000 members and 16 400 clubs worldwide. I joined a club near me in Lipa, Batangas with the influence of my dad. We conduct meetings twice a month in a cozy café. 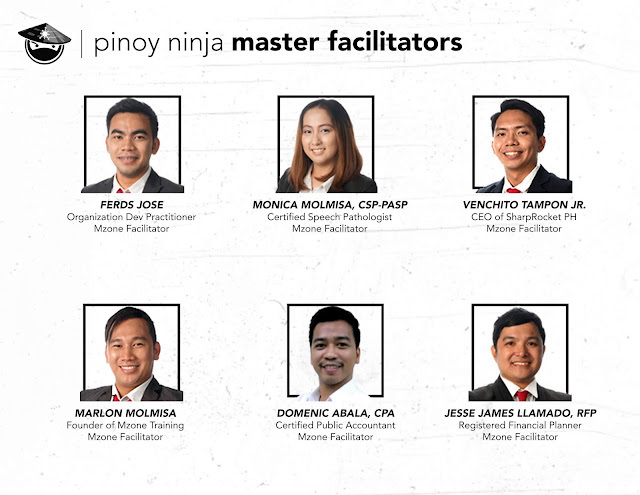 I have been surrounded by college students, corporate executives, accountants, restaurant owners, former politicians, teachers, school owners and other young professionals in Lipa who wanted to work on their communication and leadership skills. And I became good friends with them. Then 2 years later, this 2018, I became the president of our club - I am the youngest ever in our area and probably one of the youngest in the country or even around the globe! I would not be surprised if one day, there would be another coup d’etat behind my back. Kidding aside, in my four months of being president I learned one important element of leadership that helped me become a more mature leader than I was before. When I was the class president, I failed to understand this element. I never respected myself because I never wanted the position in the first place. I never respected the organization because I really didn’t care and I just minded my own business. I never respected my classmates, because sometimes, I would be the one to start the ruckus in the room while making fun of someone. Today at 20 years old, I can say that I’m one of the youngest presidents in a Toastmasters club. I can assume the reason why they chose me is because of the relationship that I have built with them through the years. Last year, our former club president made a history of achieving “The President’s Distinguished Club,” the highest award a Toastmasters club can achieve within a year. I will be honest in saying that I am feeling the pressure. But this is a good opportunity for me to move to the 3rd Level of Leadership which is Productivity and do what I failed to do back then. The challenge as the new president is to keep up with the previous president’s performance. I have looked for opportunities to improve our club. One way is to tap the digital platform and use it to increase our membership base. As of now, I’m studying digital marketing to increase the online presence of our Toastmasters club. I created online surveys to know the market of people who can potentially join and segment them in terms of age, occupation, geographic factors and align our promotions with the characteristics of the respondents. Increasing our online presence gives better chances of increasing potential members which is what we need right now to keep up with last year’s performance. Just as Sun Tzu said in The Art of War, “Knowing the enemy is winning half the battle.” I have identified the problem with my previous leadership style which is delivering performance and results for the organization. I may still have a long way to go, but now I know where to start. NORMAN CACANINDIN is a fresh graduate of Marketing Management of De La Salle Lipa. He is the current President of Toastmaster Metro Lipa. Now, he is one of the speakers of Mzone Training under the Underdog Leadership and "Ang Mahalaga Bumangon Ka" Program. Now writing, December 31, 2018 at 10:20 PM, less than two hours before 2019 starts. After watching an investigatory film, I opened my Facebook messenger to see if there are any new messages. To my surprise, I got a handful of encouraging notes to continue what I’ve been producing with my content – a few tips here and there, advice from my own Facebook page, and now that I just came back to blogging, some good “how-to” articles to help people do better in business and in life. 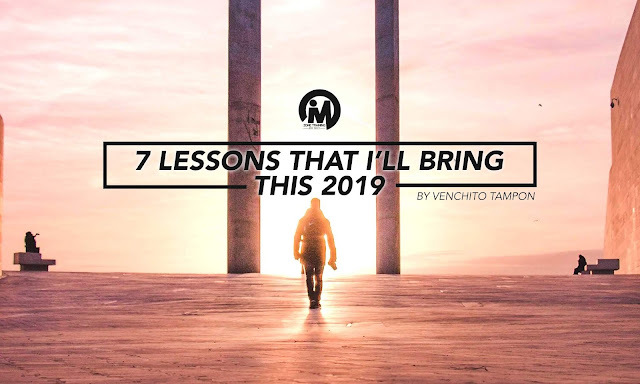 As we end this year, let me give seven personal lessons I learned. Some of these may not necessarily come from this year, because some have been just emphasized (or relearned). There are a few lessons that are new to me. These are also the principles that I’ll bring from 2018 to this year and to the rest of my years (hopefully they’re still relevant until my last age). To be honest, I have been part of a set of people who used to look for motivation from external sources – may it be finding and reading quotes of top personalities (speakers/authors/ministers), reading self-help books, watching videos, and chit-chatting people to get motivated. However, in the days where you don’t have the drive and will to keep moving forward and are being tempted to slack off the whole day (even while you’re in the office), discipline is a must. Discipline comes with the inspiration that pulls you toward a transformation and change that must be made. It lasts, and it may be hard at the beginning, but when you’ve always pushed yourself to do things right, you end up getting better results. Self-discipline is one key to success. With discipline, you learn, you grow, and you move towards your goal. The motivational part, in most cases, is just movement of emotions, is short-lived. It doesn’t sustain your growth. You heard a great speaker in a seminar, then once he went off the stage, your emotions die down, and so that temporary motivation goes down. With the inspiration that is accompanied with discipline, you draw something from the inside – your purpose, your core values, your mission, and vision in life. And with the right thinking and proper attitude and skills, use them all to do what you can do best every single day. I don’t know everything. And even in my fast-paced learning moments, I can’t assure myself I could understand how to manage the ambiguities in life. There are instances when I don’t know what to do, and the only way to make the right decisions is to ask for counsel and advice from trusted and credible people. Why do I have to emphasize trusted and credible? Because not all of the people around you are credible — they may listen to your stories, but haven’t gone through the almost same problems that you face. The ones that are credible are the people who’ve had experiences similar to yours, overcame difficulties if there are, and they have the same core values — these are the ones you and I should be looking for. And trusted — do you know people you’ve told your secrets before, and later on, found out that they shared it away to their friends? This is the saddening truth of life. Get counsel from as many godly, trusted and credible people so you would have different point views, pros and cons if you do this and that, be able to see your blindspots (we all have them, and we should all be aware) and from this, you and I will make up our minds with the guidance of the Lord. One neglect leads to another. And little did we know, it is one beginning of an unexpected disaster in our lives. If there are things that have to be fixed right away, do not neglect solving problems. Be intentional in facing them. Though we have the option to run away from it, sooner or later, we’ll encounter just the same problem, but now a bigger and wider one to solve. In my line of work, we encounter different business problems, different clients with different personalities and issues in their businesses. I couldn’t just choose running away as my option. I have to talk to my colleagues, get them involved and make a firm decision on how to solve the issue. The good thing with reading books from different authors about one subject area (e.g., leadership) is that you’ll be able to widen your perspective on certain things which include best practices, relevant issues, and how the author addresses each need. One common denominator that I’ve found to be true in all books is this point – lead yourself so you can lead others well. Leading yourself is not bragging your position, your rights, and your abilities. You don’t drive yourself to prideful situations. You lead yourself to giving service to many people, to self-denial, to self-sacrifice, and to self-development. Because once you grow and become more valuable, you can add significant value to a friendship, mentorship, and leadership in all areas. The value itself once applied and taught to subordinates will bring tremendous growth to your organization. These days is the age that we can Google everything we want to know. But not wisdom and insights. It takes some time to identify who is telling the truth and who is just giving you shallow advice. It takes some critical thinking skills to separate the wheat from the chaff, and bones from the meat. That is why learning is important for you to see both sides of the story and issue. More ideas aren’t equated to better ideas. Some ideas are just cluttered that can confuse the mind and misdirect to its intended purpose. Some ideas are shallow and don’t have any substance. Be careful with what you put into your mind. By God’s grace, I have become more careful and discerning this year than last year. We sometimes overcomplicate things. And yes, I do that most of the time. One example is that I always lean on tools and devices to improve my productivity for the past years. Without several apps and offline tools, I tend to lose focus and know for sure I couldn’t accomplish my big priorities in the day. This year, I have simplified things. I use my journal where I put all my priorities (Big 3) for the day. And with a little help of Google Calendar to schedule activities, I could easily see where my commitments are in place. Fewer tools, more productivity. Two weeks ago, I purchased my own set of Full Focus Planners from the Michael Hyatt team – helping me set my goals in writing (both achievement and habit goals), put my daily priorities and schedules on paper. A planner, journal, and a calendar – classic yet helpful. Because productivity is not about the tools, it is about the system and the person doing it. These tools, whether they are free or not, won’t be a big help, in my opinion, without self-discipline and a 20,000 feet perspective on your goals for the year. What brings me hope? What keeps me going? Who am I? Why do I need to do all that I am doing? Purpose, visions, mission, goals, identity, morality (ethics) — though you and I heard them all the time from many sources, if they are not determined and clarified, we can easily be swayed by the wind. What is essential to you? What is essential to me? With all the material things in this world, what makes your life worth-while to live? If testings come and we’re not prepared to answer those mentioned above basic existential questions of life, we are in trouble. So I ask you to search for the deeper meaning of life. You only have 75 or 100 years to live, every hour and minute counts. So make it count. < End —11:07 PM, will go back to watching movies. Happy New Year everyone! 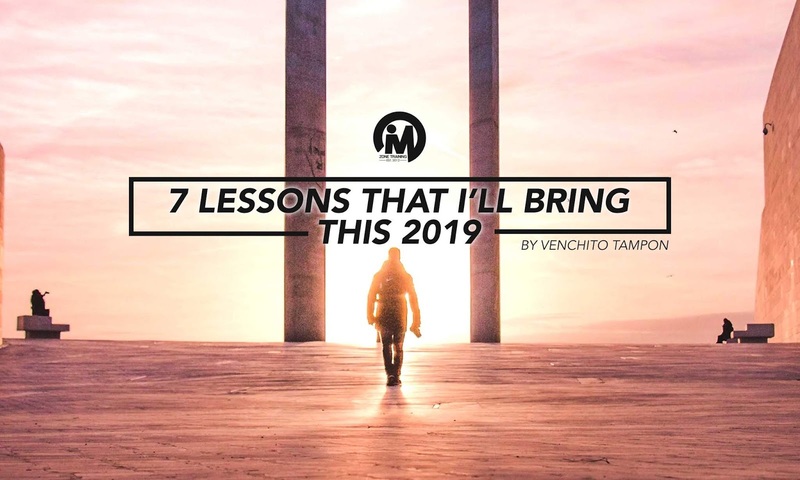 Venchito Tampon is an author, Mzone Training speaker, and digital marketing CEO. At the age of 21, he pioneered SharpRocket, a premiere digital marketing company in the Philippines that caters to local and international companies – from small to medium sized businesses to Fortune 500s. The office is currently based in Ortigas and his highly skilled team is composed of 18 members. YOU MAY FILL OUT THIS FORM. Leadership has been a big word for the past decade, but more so now. Social media and platforms such as TED Talk have increased awareness in this field. But more than that, they have created leaders, speakers, and bestselling authors out of everyday people that would not have been possible ten years ago. All these awareness and even hype about leadership happens for a good reason – our society is changing at a rapid pace. At every point of change, we need leaders to pave the way. You might be thinking, that’s all good for them. They have voices; they have results; they have networks. How about me? How do I find my voice? How can I create my message? How can I start my leadership journey? If you check the profiles of these influencers, you will find that most, if not all of them, have spent the necessary time doing the dirty work of everyday leadership for years. These men and women have developed their leadership day in and day out in the trenches of the real world, with real people, solving real problems. They are earned the right to be called a ‘leader’. You can do it as well. 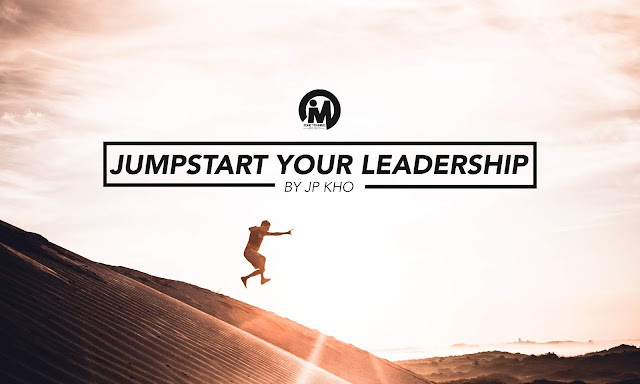 The following steps will help you jumpstart your leadership journey from point A – a point of absolutely no influence, to point B – the point where you can be recognized as a voice of influence in your community. Everything great begins with a first step. The same is true for leadership. Somebody once said “To be great, you have to be good. To be good, you have to be bad. To be bad, you have to be the worst first, To be the worst, you first have to try." Leaders experience failures. To jumpstart your leadership journey, you have to set up your life in such a way that you will have no choice but to take on a leadership role. Are you part of a company? Volunteer to help out in company activities and events. For example, you can volunteer to help out in your Christmas party event. You can volunteer to help out in your church’s Christmas drive. Are you part of a team? Volunteer to take on additional responsibilities and work – even with work that you’re a beginner of. Are you part of a family? Volunteer to do the dirty work. Volunteer to help out in the grocery or in taking charge of the laundry. Did you see the common word? Volunteer. When you begin to put yourself in a position to serve others, you are gaining not just experience, but respect and influence as well. I will never forget what my mentor Dennis Ong used to say – “be busy doing the work that needs to be done, but never too busy that you can’t stop and reflect on what you’ve done”. To grow your leadership qualities, you have to be intentional. Reflection is one of the key things you need to find time to do. What was my vision before the engagement and after the engagement? Did I achieve my original vision and objective? What areas of my engagement did I have difficulty with? People? Time / Energy Management? Communication? Who can mentor me on these areas? What areas of my engagement did I experienced ease with? How can make my next engagement better? Seek feedback. This is one of the keys that successful leaders constantly do. Seek people who have had more success and failure than you and who you can see as an epitome or model of the leader you would want to be. Consider them to be your mentor. What can you say about my engagement? If you were me, what would your thinking process be about this engagement? If you were me, how would you do things similarly or differently? Repetition will always push you towards perfection. You may not achieve it, and certainly, leadership has dozens of aspects you can practice and work on. However, if you are dedicated to be a great leader, never stop engaging and never stop the reflection. That's the feedback process. When you have participated in several engagements and when you have already gained improvements based on your reflection and feedback, it’s time for you to create what John Maxwell may say as a personal growth plan. Your growth plan may include planning future engagements or a learning plan that may include books and seminars that focus on the two items above. JP KHO is an IT Professional for more than 10 years and currently involved with projects that involve multi-national companies such as UNILAB. He's a bookworm as he also sells various books online as a business. Now, he is one of the speakers of Mzone Training under the Underdog Leadership Program. He is a husband and dad of two. 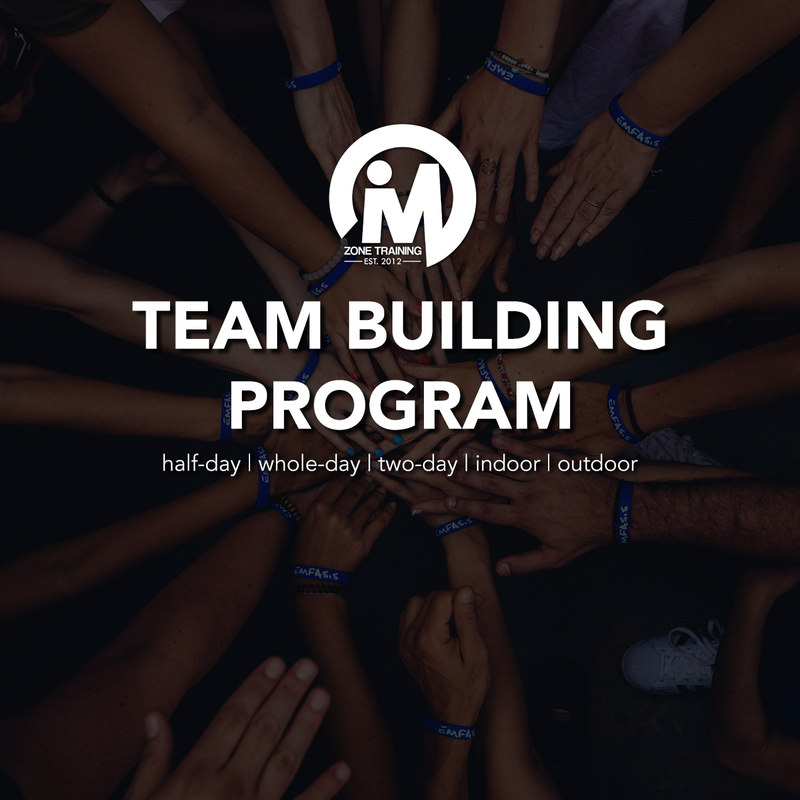 FILL OUT THIS ONLINE FORM FOR US TO KNOW MORE ABOUT THE DETAILS OF YOUR TEAM BUILDING. Our current workforce are currently composed of Millennials. However, this generation was known to have an atypical tendency to switch jobs. According to the data from Gallup, Millennials in 2016 had a turnover rate of 21% as compared to roughly 7% of Gen-Xers and other non-millennials. Nonetheless, Pew Research attempted to further study this phenomenon and compensate for the this difference. It was found that Millennial turnover and employer loyalty are just the same, if not slightly better than the previous generations. If Millennials are not really job-hoppers as they were depicted to be, then why do companies still experience a high turnover rate from them? 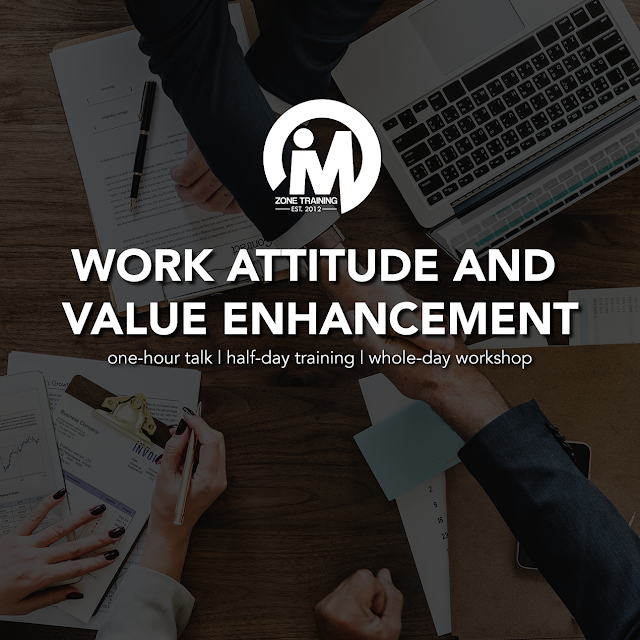 Each behavior has a root and this is one of the things that Mzone Training attempts to answer when we conduct Work Attitudes and Values Enhancement Trainings and Seminar. Do you want a workshop that will provide a systematic approach to their behavioral issues? You can check Mzone’s signature Me2We WAVE program. We can also customize a program for you. The growth and success of an organization depends on leadership. There are only two kinds of people in the world: bad leaders and good leaders. Bad leaders do nothing, but good leaders produces results. Leadership is intentional. Thus, a solid leadership training is needed to produce a high-quality performance from your employees and company. You need a credible speaker and/or trainer to identify the dysfunctions of your team and create solutions to potential threats and opportunities. You need timely and relevant leadership principles to which your junior, mid-level, and senior executives can adapt. 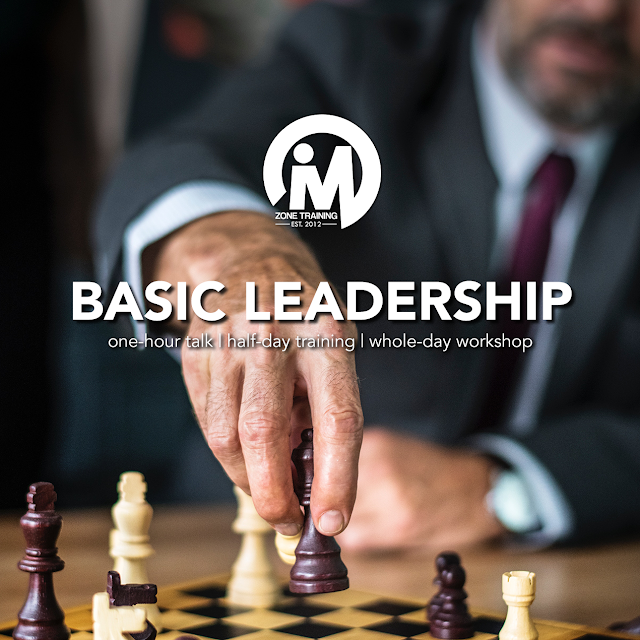 Mzone Training has its signature leadership training programs. Mzone can also customize a program that will fit the needs of your organization. Email us at mzonetrainingph@gmail.com or fill out the online form below for us to know more about your upcoming learning event. Click Your Reaction To This! WE ARE SOCIABLE. KEEP CONNECTED. MZONE TRAINING was established in 2012 by its Founding President Marlon Molmisa to produce more leaders in every industry by organizing learning events, public soft-skills workshops, and bureau of speakers/trainers. Our vision is to be one of the most credible and leading training company and talent management of speakers and trainers in the globe. Our heart is to discover, develop, and deploy speakers, trainers and consultants who provide informative, inspirational, and interactive learning experience in every organization, in every generation, in every culture and in every nation. We also produce soft-skills workshops and public events for HR and any kind of organization. Are you looking for a speaker on your event? Do you want to hire us for your workshop? Are you asking us to organize your team building? We are always willing to serve you. We are just a few clicks away! Marlon is the Founding President of Mzone Training, a leadership speaker and best-selling author. Venchito is a Co-Founder of SharpRocket, digital marketing expert and a career coach. Monica is a Certified Speech Language Pathologist and Voice Coach for any professionals of various industries. Jesse James is a Registered Financial Planner and a Personality Development Coach. Ferds is an Organization Development Practioner and a Team Building Facilitator. Domenic is a Certified Public Accountant and now finishing his Masters degree on Taxation. These are the accredited speakers of the Underdog Leadership Program developed by Mzone Founder Marlon Molmisa. The AMBK Speakers specialize in decision-making and solving problems in the 5 areas of life. We do not compete, we collaborate. 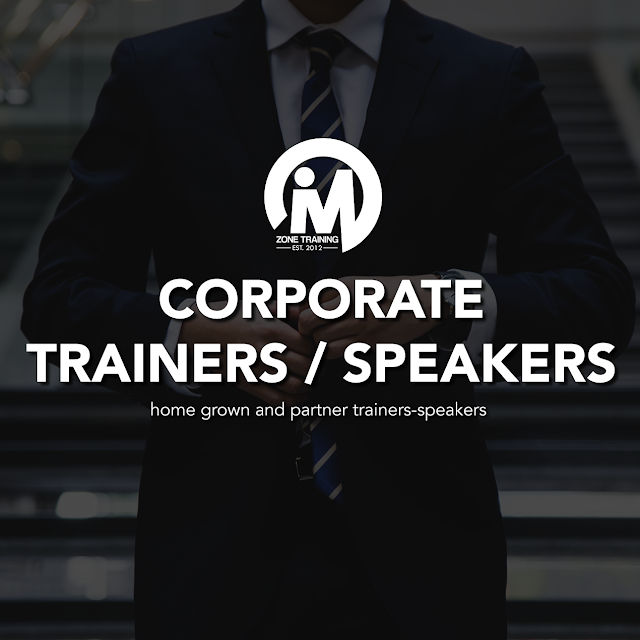 Check out our partner speakers from other training companies! Copyright © 2018 Mzone Training | Professional Speakers Philippines. Designed By Premium Blogger Templates. Developed By KuyaMarlon.Com and Leadership Speaker PH.